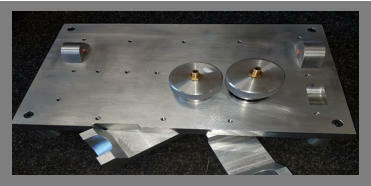 We can design and build bespoke work holding jigs to suit your components. The jigs can hold work ready for testing, measuring or for being worked on. Work holding jig to allow for CMM machine to accurately measure produce work pieces. An aluminium colour coded drill jig complete with hardened drill bush inserts manufactured for the kitchen cabinet industry. 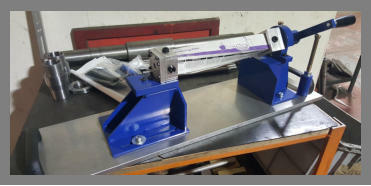 An adjustable torsion testing jig produced for the cling film industry. An aluminium “Burst test” fixture manufactured for the plastic injection moulding car industry. This jig was built to seal the component to the bed and then allow compressed air to be blown into the plastic component to check for any leaks. Above and below show a nylon work holding jig. 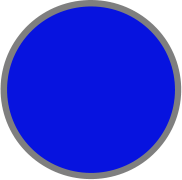 This allows the component to be worked on in two positions. 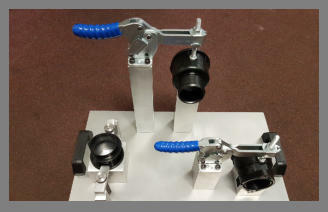 An aluminium “Burst test” fixture manufactured for the plastic injection moulding car industry. 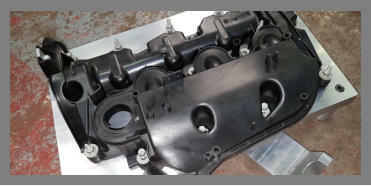 This jig was built to seal th component to the bed and then allow compressde air to be blown into the plastic component to check for any leaks. 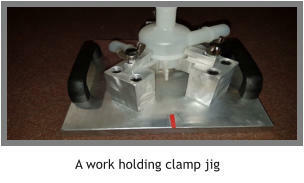 A work holding clamp jig. Nylon work holding jig. This allows the component to be worked on in two positions.